With more than 5000 original artworks by Osnat, your friend, relative or spouse is sure to fall in love with one of them. 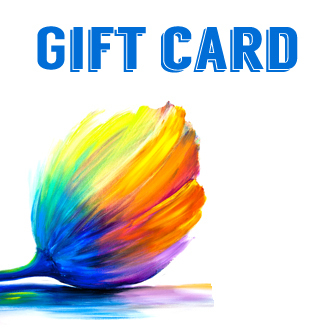 Gift card code will be emailed to you about 5 minutes after purchase. Gift card code can be redeemed during the checkout process. If gift card value is not used in full, the remaining balance will be kept and can be used toward another purchase. After ordering the painting on July 21, I received it yesterday, July 22. I appreciate the speed of the shipment and the careful wrapping of my purchase. It is such a beautiful addition to my home. and expressiveness. Thank you for sharing your creative gift.